In my home, the FTTB+LAN broad band continue to be worse. 50% or more package got lost when I ping many sites, including my blog and Yahoo!. It is slower than my CDMA now. Continued from Blogging about the Exhibition. No 18. Joni visited on April 11. She went to the exhibition by walking from Shanghai Railway station. If I had more time, I will definitely write an article about how to get to the place with map, direction, and pictures. But unfortunately, I wasn’t able to do it. 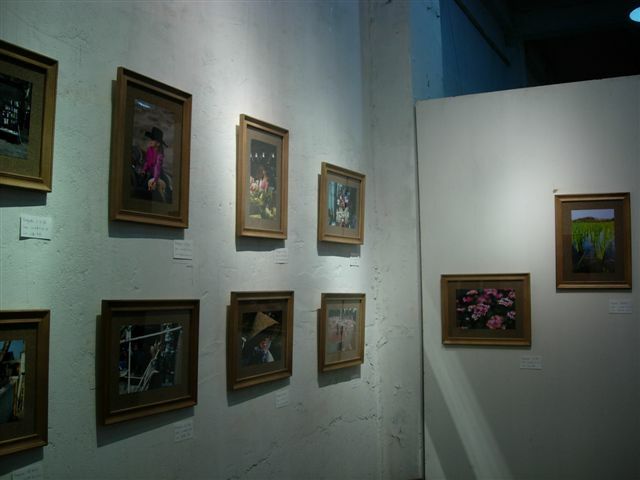 I hope our exhibition in August 2006 will be better. She wrote two articles (and said would write the third) on the exhibition: Article I, and article II. However, I was confused that except the only poster, the other pictures are all original oil painting by He Tian and his friends. I am looking forward to her third entry. Maybe there will be some picture about the exhibition. I didn’t go there in the last week and don’t know what happened there. No. 19 Frankel posted an entry for the exhibition. Thank you all the same. No. 20 bullfinch‘s record is among the best comment I have ever seen around this blog. I am happy that Bullfinch said it frankly that the photos themself are good, but by no means professional. He praised the “idea, the courage, and action” of the exhibition. The blog also mentioned the power of blogging that makes the words to spread out so quickly. This is the echo I want to get from the audience. As I told many visitor: It is more important to spread out the words, instead of inviting people to really checkout the picture. When the exhibition inspires people to think, the goal of the exhibition is already accomplished. No. 21 Daidai also helped to forward the advertisement. No. 22 Stefan asked those who visited whether it is interesting or not. What do you think? No. 23 Ericfish is Clairs’ schoolmate. No. 25 Jessie. I am happy that most of the post comes with the UUZone logo. I’d like to thank Robert Mao, the CEO of UUZone, for the sponsorship and especially Xie Jin Hui from UUZone – who not only helped to coordinate the exhibition, she also spend a whole Saturday with us and worked as volunteer. The pictures you see on the black board are her contribution. For me, commericalize is not always the bad thing. When the right idea meets the right sponsorship, many things that are not possible become possible. This is an example. No. 26 Elvita not only copy paste, he/she removed some and added our names. It is very interesting. BTW, the music on the site is great! No. 28 My friend Elfe joined our contributor team for the exhibition in August 2006. The next year, we will put some suggestions on this exhibition to the new one. The next exhibition, there will be 100 framed pictures and 1,000 smaller pictures on the wall. If the first exhibition just inspires people to do something crazy, the next one, will be opporutnity for more people to express their thinking in a creative way. No. 29 ppgz is not in Shanghai, but he/she also posted Claire’s article. 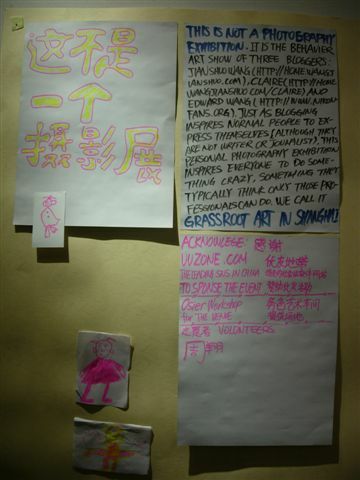 I am sure many mentioned the exhibition but I didn’t find out yet – I was using Google and Baidu to discover these blogs. Please go ahead to visit Claire’s page and leave the URL of your blog under the entry. I may find out more if there are new mention when Google complete the index. It was a nice meetup this afternoon. and about 10 more people I didn’t capture the name. Who else came? Please sign your name down to the comment section. Edward put a lot of pictures on this event. We will hold the meet the photographer between 2:00 – 4:00 PM on Sunday, April 10, 2005. We will share why we wanted to hold it, the stories for preparing, and answer any questions you may have. It is a great opportunity for people to meet each other. Here is the detailed guide of how to get there. Sorry that I didn’t find some time to put it online until now (one week after the exhibition opens). Note: The following pictures were taken by byebye, Eric‘s friend. She went to see the exhbition but the door was locked. Sorry for that. You are welcome to attend the meetup on Sunday. The pictures are used under permission of Byebye. 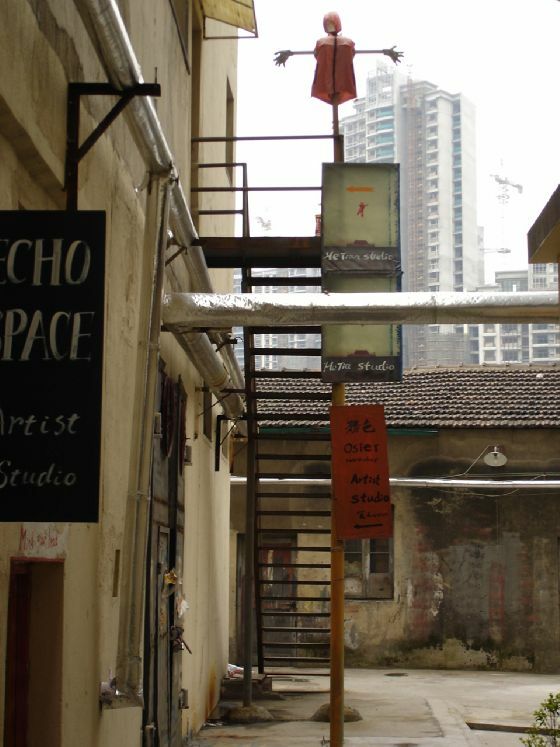 The gate of the factory at #50, Moganshan Road. The map of the buildings inside the art area. 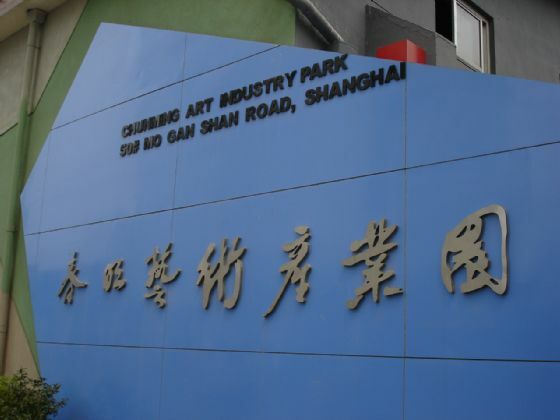 Enter the art district (fatory) and go straight forward. Within 100 meters, you will find a direction board like above on your left hand. Turn left at the sign and you will see a long straight lane like this. go straigtly ahead into this lane until you reach the last door on the left. Immediately after Claire announced the exhibition, 7 bloggers caught the news and blogged about it. No.1: Carmen: Wang’s photography exhibition Thanks Jiawen for mentioning the Coffee Bean Club also. No. 2: skylee: L’invitation au Voyage . 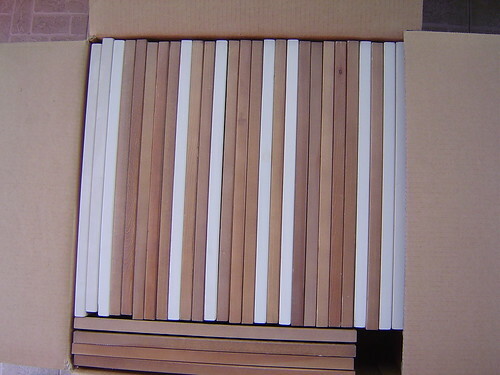 It is a nice posting to help us to get more visitors. No. 3: stefan zweig offered free advertisement for the exhibition. The author mentioned it seems a LOMO exhibition. I learnt LOMO when I talked with the owner of the Room of a View. It is true. The difference is, LOMO pictures are typically taken with LOMO camera, while ours are taken with Nikon (Edward’s), Canon 300D (Claire’s), and SONY P8 (mine). The idea is the same. We also have a wall of all the pictures. 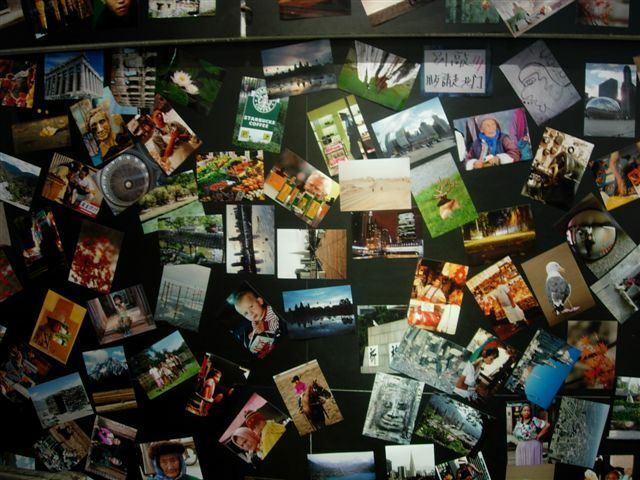 It is the same idea as LOMO wall. No. 5: Lisa also helped to put the announcement on her blog. No. 6: My favorite runliu also posted about the exhibition. Thanks Run to address me as the most PC (Productive and Creative) he worked with. haha. I am so flattered. No. 7: marco not only contributed his time, also blogged the announcement. I hope there should be some comments around it. No. 8: Eric mentioned the exhibition but I didn’t put it to the list yesterday. He was heart broken. Sorry Eric! No. 9: Raymond said: “This is an event that I think is very encouraging. An exhibition organized by ordinary people, not some famous professional photographers, showing pictures of places they had been to, from a very personal perspective.” Nice point. No. 11. Peak from blogbus are among our first visitors in Saturday noon. He posted the scene that all the framed photos are on the ground. The picture itself was well shot. It is one of the most detailed recording of the event so far. No. 12. Max mentioned the exhibition and I am happy to know he will return Shanghai from Europe. Life is short. Let’s have fun. Blogging makes it possible for long-time-no-see friends to get together. No. 13. 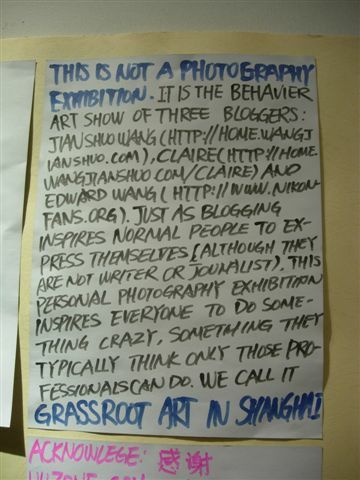 John wrote: “Here is a grassroots photography exhibition in Shanghai, and I am quite excited about seeing this kind of initiatives emerging in my hometown. I look forward to its début, and wish for its success”. I met John and his family in the exhibition. John was kind enough to donate a picture he just brought back from Hawaii to the exhibition. He is also the first to sign on our comments wall. No. 14. Sisi said “The most attracting thing in the exhibition is the poster: This is NOT a photography exhibition”. Nice observation. It is also my favorite. No. 15. To be honest mentioned the event and then commented in his own words. No. 16. 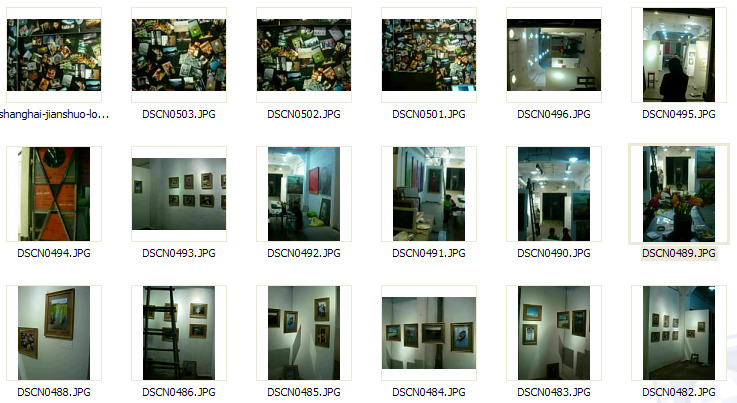 Good Knight updated his blog and posted many photos about the preparation work of the exhibition. It is the best guide for first time visitors to find the place. I admit the place of the exhibition is not easy to find. Our goal is to have 50 bloggers mention about the exhibition. If you want to link to it, please comment on the exhibition – not only the photo, but also the idea. It is something like “Link and Think” project for AIDS. Think is even more important than link. The goal of the exhibition is just to inspire more people to do something they never dreamed of. The basic concept is, you can always try something that seems too far away from you. Please include a link or logo to our sponsor UUZone, the leading Social Network Software in China. You can continue track back to this entry or leave comment on Claire’s Chinese blog entry. Meanwhile, some traditional media are sensitive enough to notice the event and called to report it. On one hand, it is very good news for us. On the other hand, maybe it just indicates the importance of fresh ideas and excitement for this city. Claire wrote about the exhibition. UUZone agreed to sponsor part of the expense. Thanks Robert and Xie. I glanced the newspaper and learnt the taxi companies in Shanghai agreed to give 200 RMB per taxi per month to help them to fight against the continous increase in gas price. There are 46,000 taxis in Shanghai, but it is not more more difficult to hire a taxi these days. Claire, Edward and I put our pictures together and said: “How about we open a personal photography exhibition in Shanghai?” It was about two months ago. 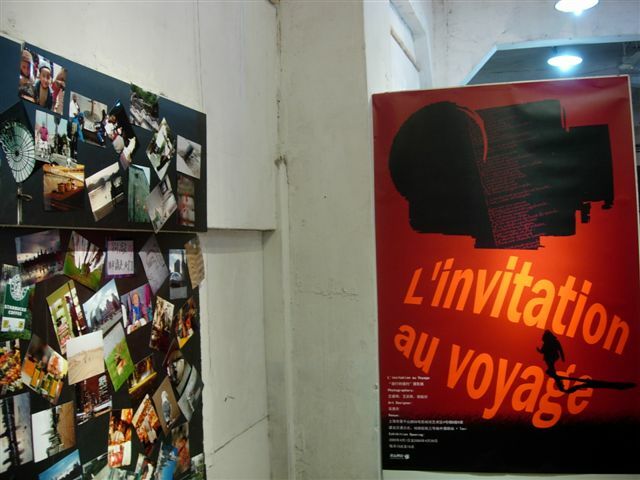 So, an exhibition named L’Invitation au Voyage came out. 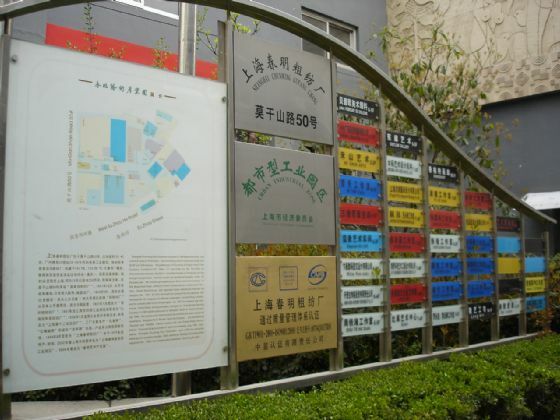 It will be held on the Suzhou Creek from April 1 to April 31. We will also host some forums on blogging during the events. It is open for public, free of charge. We will put an donation box at the entrance. 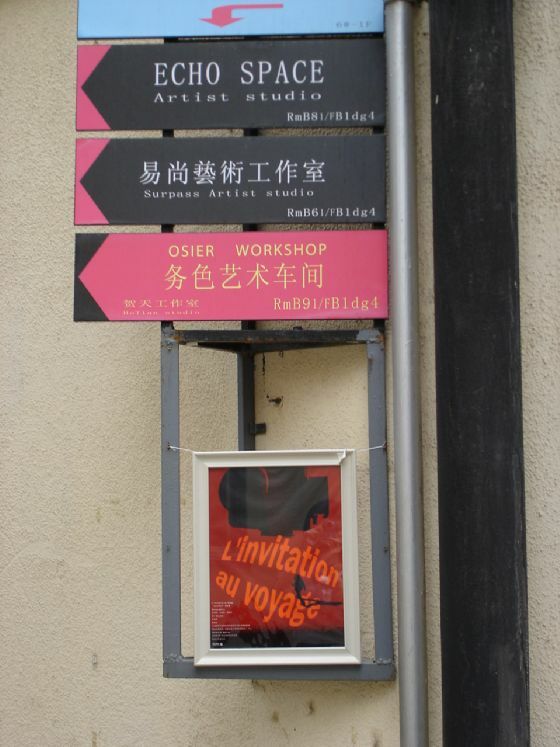 The next exhibition will be in August 2006. The exhibition is one of the three major personal projects in 2005. I told everyone that “Treat it as behavior art instead of photography art”. The core value of the exhibition is to inspire people and ourselves that anyone has the power to hold an exhibition. Just like blogging gives any individual the power to express themselves, personal photography exhibition gives the power to any individual. The point is, I am not a photographer. My friends are not. But we want to find a way to express ourselves. 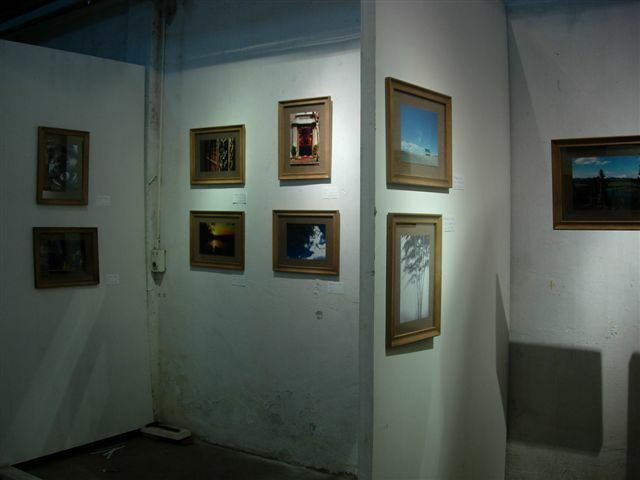 The way is very rare in Shanghai – personal photography exhibition. I can expect more and more people do it in the years to come. With the emerging of professional personal exhibition service, the cost to do it will decrease dramatically and everyone can afford it. I feel what I am doing is just as I started blogging in 2002. I believe it is a remarkable event for our life and even for the art in Shanghai. I don’t know the result of the exhibition yet, but it is definitely something I’d like to try. I also believe it is something I can remember when I grow old. Last Friday, I called my friends: “Hey. Do you guys still planning for the exhibition?” At that time, we have nothing but the idea. All our answers were positive. So we went to the Suzhou Creek the next day to rent an warehouse with 50 sq. meters. 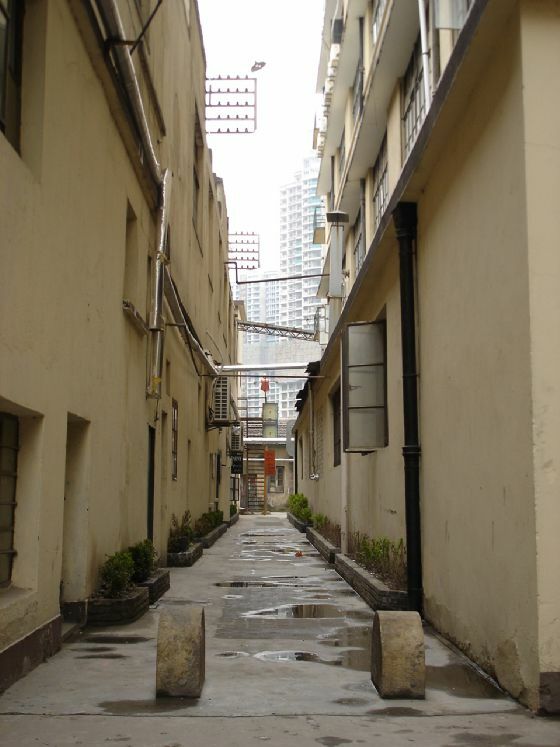 The monthly rent is less than 2000 RMB. It is nice. Then we put our photos together. We will have a wall with about 1000 photos of any kind, without thorough selection, just to express the experience of our travel. 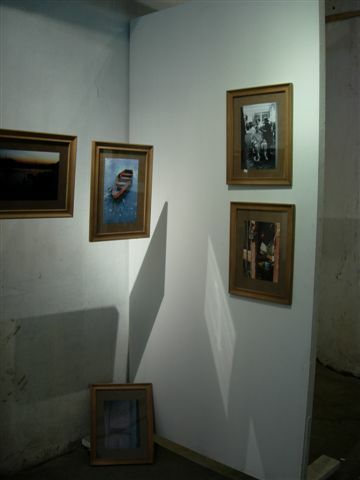 We also put on about 30 well selected photos and hang them in nice frame, under spot light. It is almost impossible for me to spend time on this these days. Thanks Edward and Claire to take care of details. Wendy and Hacky are also helping. 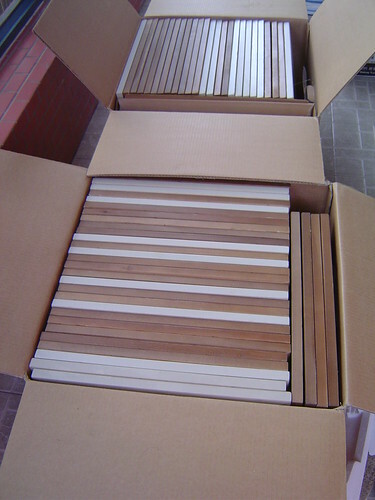 We may spend about 6000 RMB for everything – the rent (2000 RMB), the printing (2500 RMB), the frame (1500 RMB), the administration and transportation. At the very beginning, we put in our money , but would like to find some ways to cover it. We accept donation. We also plan to sell some of the framed picture to raise fund. More details of the exhibition will come out soon in either Edward or Claire‘s blog. Wendy already wrote two entries , ) about it. Yes. We need help. If you are a blogger, write about it. Our target is to recruite 50 bloggers writing about this event and record how they think about it. The inspiration is more important than the exhibition itself.